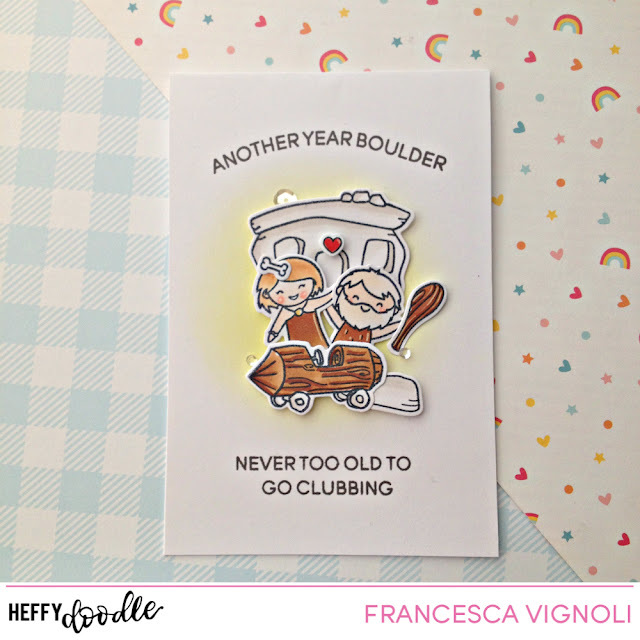 Franci here with you today with a fun card feat the Prehistoric pals set. Aww look at this happy couple, they makes me giggles soo much! ahaha!! It’s a super simple design.. lately I love white space and cards that are super quick to make and easy to mail. 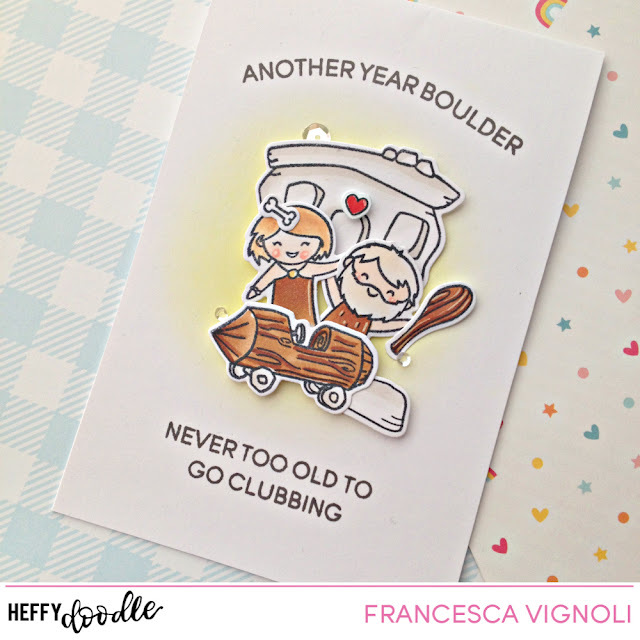 I create dmy card base out of white cardstock, I inked the front to give my images a light background and stamped, colored and die cut all the images. I stamped both my sentiments at the top and bottom and glued everything down with foam adhesive. Finally I added some details with a white gel pen and some sparkling clear sequons.